"Terry & Tori came and moved my family last summer and I cannot tell you how impressed I was!! They are so nice, professional and do a wonderful job!! I would recommend them to everyone I know, in fact, I am referring them to a co-worker that is moving at the end of the month!! Thanks guys for all..."
One of the most commonly overlooked parts of moving is proper packing. We offer packing and unpacking services in Madison for entire houses, single rooms, and fragile items like china, glassware, mirrors, and artwork. Whatever your needs are, the most qualified Madison moving company staff using industry leading materials and supplies is up for the task. Our packing and unpacking services in Madison include carefully boxing, wrapping, and labeling all of your belongings to ensure they can be quickly and easily unpacked and accessed at the new location. Keeping your belongings safe is the top priority of our Madison moving company staff, so let us remove the stress and worry of moving. Are you worried you won’t have enough time to get your new place set up? Our packing and unpacking services in Madison can take care of putting your life back in order. From unloading your boxes to putting items where you’d like them to be, our expert Madison moving company staff is ready to help. We can even put cabinet liners down, set up your kitchen, or put your clothes in the closet. Give us a call today to get your free estimate for packing and unpacking services in Madison. We offer packing services in Madison for entire houses, single rooms, and fragile items like china, glassware, mirrors, and artwork. Whatever your needs are, one of the most qualified Madison moving companies will use industry leading materials and supplies is up for the task. Our packing services include carefully boxing, wrapping, and labeling all of your belongings to ensure they can be quickly and easily unpacked and accessed at the new location. Keeping your belongings safe is our top priority. 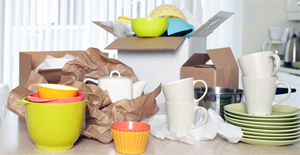 Are you worried you won’t have enough time to get your new place set up? 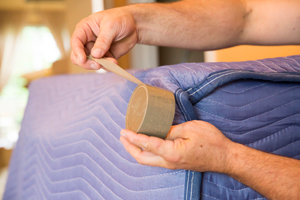 Our packing services in Madison can take care of putting your life back in order. From unloading your boxes to putting items where you’d like them to be, the experts from one of the top Madison moving companies is ready to help. We can even put cabinet liners down, set up your kitchen, or put your clothes in the closet. 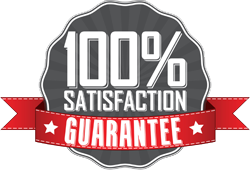 Give us a call today to get your free estimate for packing services in Madison.